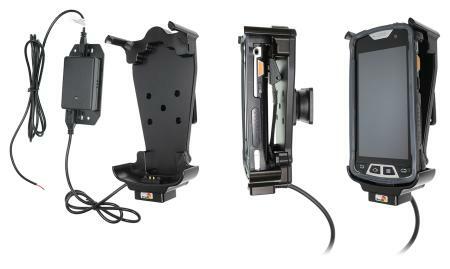 An extra robust active holder which is to be connected inside the dashboard, this gives a discreet, neat installation without cables hanging over the interior! With an extra firm fit and top support. For professional every day use in rough environments. For use with device with bumper. 12/24 Volt. The product is E-approved. Connect the power cable with a 2 A fuse. 2 A charger. Professional installation recommended. 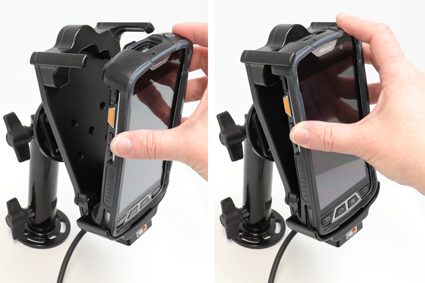 The holders are equipped with a tilt swivel so you can easily adjust the angle of your device for better viewing. Tilts 20° and swivels 360°. Made of high grade ABS/Acetal plastic. AMPS holes. Color: black. Made in Sweden. 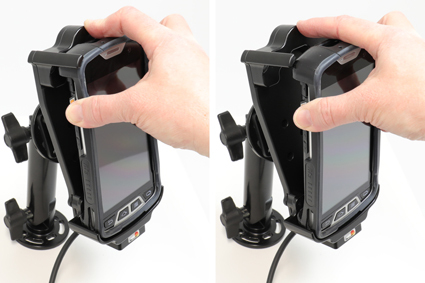 Attach onto a Pedestal Mount. 1. 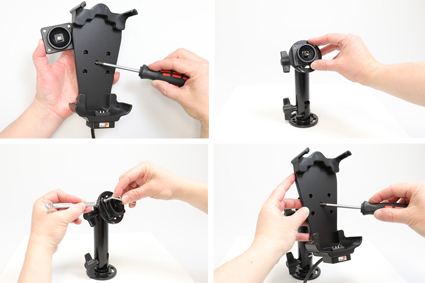 To attach the holder: Loosen the screw in the center of the holder so you can remove the tilt swivel attaching plate on the back. Place the attaching plate on desired position. Screw the attaching plate into place with the enclosed screws. Place the holder over the attaching plate so the tilt swivel fits. Screw the holder onto the attaching plate. Tighten the screw so the holder is firmly in place, but still can be adjusted. 2. To place the device in the holder: Place the lower part of the device into the lower part of the holder. 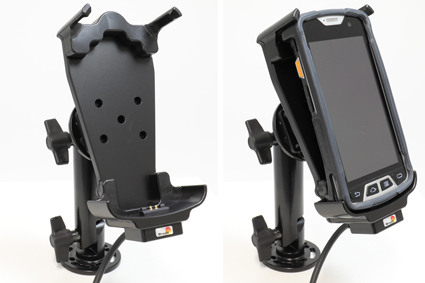 Press forward on the upper part of the device so the device is properly in place in the holder. 3. 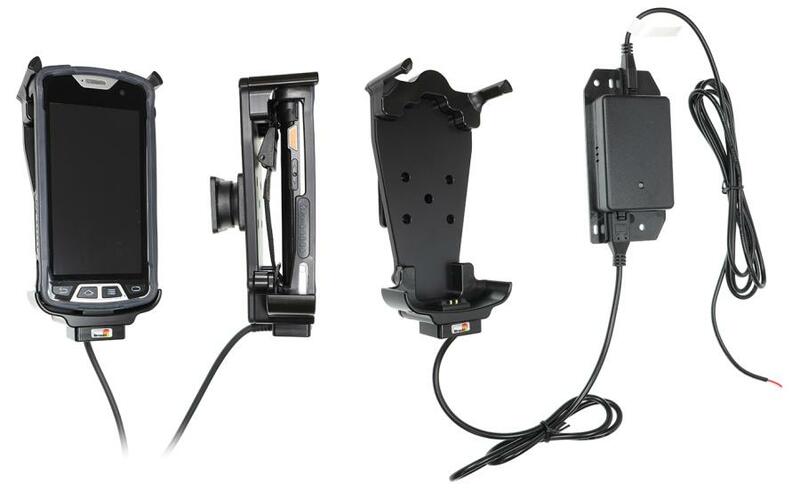 To remove the device from the holder: Push away from the upper part of the holder, in the same time pull the upper part of the holder out from the holder. Lift the device upward out from the holder.